This Gondola just left one of the many many tiny port areas that you can find all over the place in Venice. 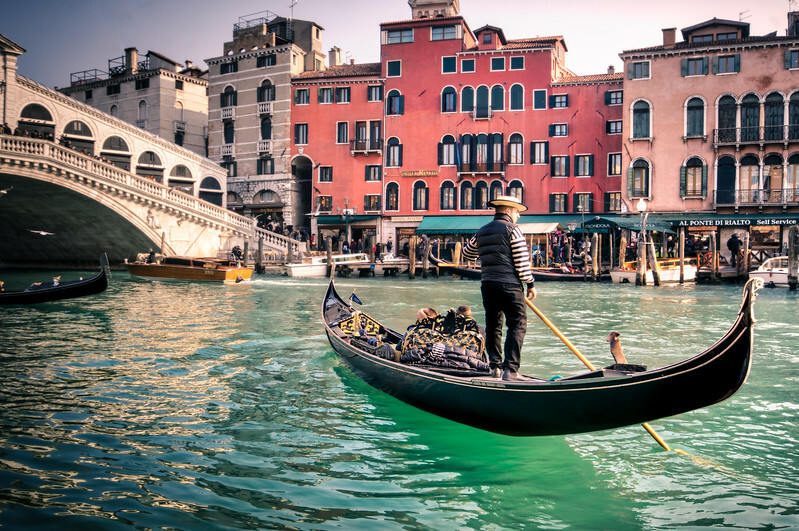 Funny thing - did you know that these Gondolas have one side hanging lower in the water than the other? Our driver explained that this is needed for them to keep the balance - but it also creates the feeling that you flip over with the whole boat at any time! I had real trouble getting used to this, hence I barely dared to take pictures during my own odyssey - I just tried not to move.